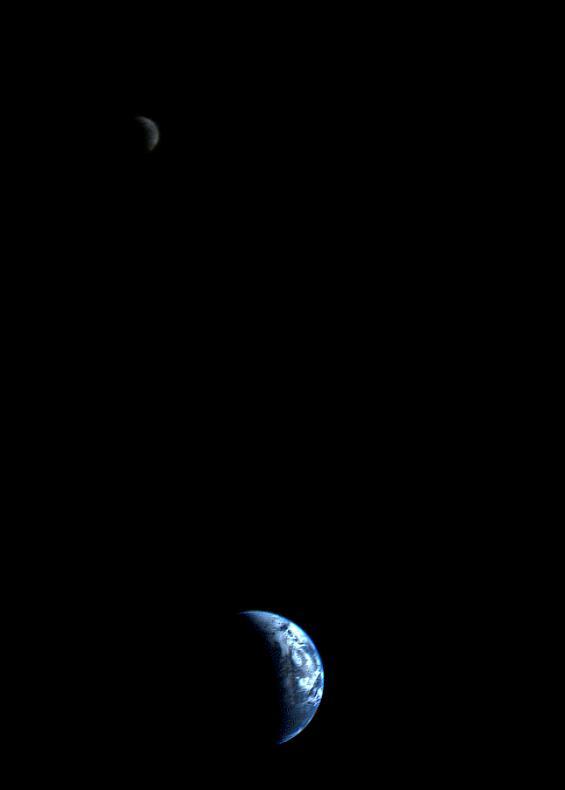 This picture of a crescent-shaped Earth and Moon -- the first of its kind ever taken by a spacecraft -- was recorded Sept. 18, 1977, by NASA's Voyager 1 when it was 7.25 million miles (11.66 million kilometers) from Earth. 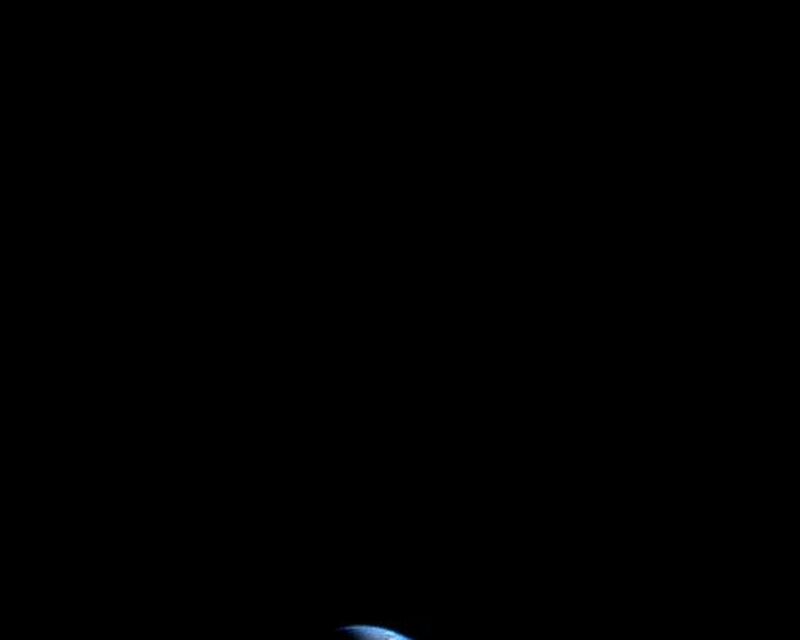 The Moon is at the top of the picture and beyond the Earth as viewed by Voyager. In the picture are eastern Asia, the western Pacific Ocean and part of the Arctic. Voyager 1 was directly above Mt. Everest (on the night side of the planet at 25 degrees north latitude) when the picture was taken. The photo was made from three images taken through color filters, then processed by the Jet Propulsion Laboratory's Image Processing Lab. Because the Earth is many times brighter than the Moon, the Moon was artificially brightened by a factor of three relative to the Earth by computer enhancement so that both bodies would show clearly in the print. Voyager 2 was launched Aug. 20, 1977, followed by Voyager 1 on Sept. 5, 1977, en route to encounters at Jupiter in 1979 and Saturn in 1980 and 1981. JPL manages the Voyager mission for NASA.